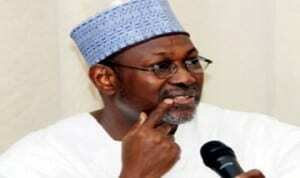 Independent National Electoral Commission (INEC) pledged to organise free, fair and credible general elections come 2015. In spite of this assurance, several Nigerians, corporate organisations and the international community have not relented in their calls for the conduct of credible elections in the country. Recently, UK’s Department for International Development (DFID) committed 35 million pounds (about N9.7 billion) to a five-year programme, aimed at deepening Nigeria’s democracy. Mr Mark Lowcock, the Permanent Secretary of DFID, said that the programme was designed to make Nigerian democratic institutions more efficient, effective and responsive. “As Africa’s biggest democracy, countries look forward to Nigeria to lead the continent in many ways. “Delivering credible elections in 2015 is a key pillar of that leadership,” Lowcock said at the launch of the programme in Abuja on June 4. He said that the programme was designed to strengthen presidential, federal and state elections in Nigeria, while mitigating the risks of violence. Lowcock said that the programme would be implemented in collaboration with different stakeholders and political organisations, including the National Assembly, INEC, civil society groups and international partners. “It is through all of us working together that we can improve the probability of credible and safe elections in 2015,” he added. In spite of the intervention and INEC‘s promises to deliver credible elections in 2015, observers continue to question the role of political parties in ongoing efforts to consolidate Nigeria’s democracy. They argue that political parties constitute one of the major democratic institutions in the country, adding, however, that the parties have yet to be fully developed. They insist that the lack of internal democracy among political parties is one of the limiting factors hindering the development of the Nigerian democracy and frustrating efforts to hold credible elections in the country. The observers recall an instant when the “New Lagos Movement’’ — a group within the All Progressives Congress (APC) in Lagos State — stormed the Lagos State House of Assembly and the Government House, demanding internal democracy within the party. Mr Niyi Akinsiju, who led the protesters, said that the imposition of candidates by some APC leaders was an affront on the democratic rights of the party members. He argued that the endorsement of Mr Akinkunmi Ambode as the next Lagos State Governor by some party leaders could only stand if it was subjected to due democratic process. He said that the party members could no longer remain silent and allow a few persons within the party hierarchy to select the party’s candidates, vowing to resist any form of imposition of candidates in the lead-up to the 2015 elections. “Party leaders have the right to endorse candidates; and I and other members of the party have the right to endorse candidates as well. “What we are saying is that we should have as many aspirants as possible, and that nobody should impose any candidate on us. “Our democratic rights should be protected and our voices should also count. Democracy is all about equality and popular participation and not a show run by a few individuals. “There must be internal democracy; we are tired of candidates’ imposition,’‘ he said. Responding, Gov. Babatunde Fashola of Lagos State assured the protesters that the APC in the state would conduct primaries to choose its candidates for various elective positions. Fashola, who was represented by Mr Tunji Bello, the Commissioner for Environment, urged party members not to entertain any fear, reiterating that all the party’s candidates would emerge through the democratic process. “We are going to ensure that there are primaries; that every man and woman, who has the right to contest, will be allowed to contest. “Nobody will be imposed on you and you will not be asked to do anything apart from what you are legally obliged to do,’’ he said. Fashola rejected certain insinuations that the APC had decided on those who would contest for certain positions on its platform, saying that the APC would never act against its members’ will. Political observers, however, insist that the APC scenario is not uncommon, as it affects all the political parties in the country. Commenting on the parties’ candidate-selection processes, the INEC Chairman, Prof. Attahiru Jega, said that the lack of internal democracy in the parties had been having negative implications on national stability and efforts to consolidate the country’s democracy. Jega, who made the declaration at the All Nigeria Political Parties and Political Stakeholders Summit in Abuja in June, said that INEC was deeply concerned about the rising conflicts within political parties and between contestants. “Parties even find it difficult to select candidates; creating a situation in which practically every party nomination process in Nigeria ends in a court case. “In most cases, INEC gets either directly or indirectly dragged into these conflicts and court cases, which becomes diversionary. “Indeed, some of the pre-election court cases have in the past threatened to derail preparations for elections. “Of particular note is the spate of ex-parte injunctions which have been issued against the commission. “Yet, one would expect that parties should have clear rules and procedures for selecting candidates and resolving issues arising from the selection, to the satisfaction of all their members. “It seems to me, therefore, that a primary source of problem here is the lack of internal party democracy, resulting from the lack of commitment to party rules,” he said. Sharing similar sentiments, Prof. Mariatu Tunuche of the Department of Political Science, Kogi State University, said that the absence of internal democracy within political parties was the major cause of election-related violence. Tunuche, a delegate representing North-Central geopolitical zone at the ongoing national conference, said: “Most often, conflicts crop up when the people are not allowed to choose their candidates at the level of party primaries. “Once the imposed candidates are not the people’s choice; it means they have to start rigging elections, right from the primaries to the main elections. “This is the character of all the political parties, both at the federal and state levels,’’ she said. To strengthen internal democracy, Tunuche underscored the need for political parties to create a level playing ground for all aspirants during party primaries. She also stressed the need to examine the roles of governors in determining the choice of candidates in party primaries. “The governors have become so powerful in Nigeria that they decide what happens at the local, state and federal levels. “If we can have true political parties that are genuine associations of like minds, where there is the rule of law and where there is be no impunity; then, we are likely to have peaceful elections. “This is true because the parties’ candidates would be the people’s choice and, therefore, there would be no election violence,’’ she said. Besides, Tunuche identified the high level of poverty in the country, unemployment, government’s apathy towards the people’s aspirations and the politics of “winner takes all’’ as some of the causes of electoral violence. “There is anger and desperation all over the place. That is why there is crisis before, during and after elections because the winner takes all. “Once a winner emerges and you are not in his camp; you are dumped for the next four years until another election. “So, the marginalised persons always vent their anger and frustration; that’s why we witness electoral violence,’’ she said. All the same, Mr Sam Eke, the National Publicity of the Inter Party Advisory Council (IPAC), said that all Nigerians must be allowed to play active roles in the country’s democratic process so as to protect the integrity of the system. He stressed that part of the challenges facing the country’s democratic process came up because most citizens were not carried along. Eke said that IPAC would continue to encourage politicians and political parties to play politics by the rules before and after elections. Eke stressed that the parties must create the right atmosphere for every party member to participate in the choice of candidates for positions, whether within the party or during elections. “We would make sure we call the parties to order, so that we would have a level playing field. “The system should not be overheated, while politicians should not jump the gun. The credibility of the system should be protected. “That is what we have been doing and I think we have been having tremendous cooperation,’’ he said. Eke stressed that IPAC would monitor the parties’ conventions and congresses “to ensure that they adhere strictly to internal democracy tenets. “We would make sure that their actions abide by the provisions of the Electoral Act, the Constitution of the Federal Republic of Nigeria and their individual constitutions,’’ he said. All in all, the consensus of opinion is that if internal democracy is promoted within political parties, the movement toward the 2015 general elections will be hitch-free and less cumbersome.